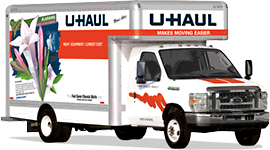 Call our Direct U-Haul reservation line 501-868-3670 so that we can assist in helping you locate the equipment needed to make your move easier and provide you with a competitive quote. 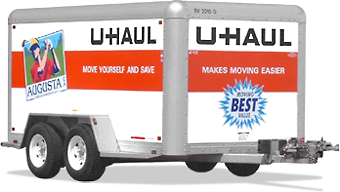 Whether you are moving across country or across town Chenal-10 Storage and U-Haul is here to help you. Professional and Friendly Staff make the difference during a stressful move, and you can count on us to make that difference. The 5 x 8 utility trailers are another common choice with small businesses for deliveries and individuals who do moving, landscaping and other home improvements. This medium open trailer for rent is one of our most economical utility trailers; it is an affordable and reliable solution for transporting business or personal belongings. 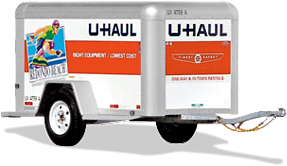 The 6 x 12 open trailer rentals are perfect for larger, local in-town deliveries and home-improvement needs. Our largest open top trailer rental has low decks and plenty of tie-down rings to make this trailer one of the easiest trailers to load and secure your cargo!